Looking for Advice after an illness on a Thomson Holiday? You can claim compensation from Thomson Holidays pursuant to the 1992 Package Travel Regulations if your holiday was spoilt by food poisoning and illness. The Regulations allow travel lawyers to pursue holiday complaints on your behalf in the UK if you are exposed to poor hygiene and sickness whilst on a holiday abroad. If you complain directly will you be compensated appropriately? What is my Thomson E coli complaint worth? Over many years Thomson’s legal team have refused to accept responsibility for food poisoning, dirty swimming pools, unhygienic practices etc. They often respond by saying that nobody else complained of illness following a lengthy 6 month investigation period known as the 'cooling off' period. The delay is aimed at filtering the complaints out of the process so that the holiday nightmare that you have experienced is not so raw. You are more likely to accept their explanation or their low compensation offer when your memories of the holiday have faded. However, your complaint joins hundreds, if not thousands, of similar Thomson holiday complaints from customers who were also dissatisfied with their holiday. You can expect to receive a response which is unlikely to address the issues you have raised. Holidaymakers are contacted quickly when there is a serious illness outbreak. The tour operator’s 'Welfare Team' will offer compensation immediately to affected holidaymakers as soon as they arrive home.. Many holidaymakers do not realise the value of their claim and sign documents which prevent them from claiming compensation that they would legally be entitled too. The elderly, parents with children, and those generally who are not aware of their legal rights are advised to seek the advice of an experienced travel lawyer before accepting any form of compensation for their holiday complaint. If you have a personal injury complaint against Thomson, we advise you not to allow the company’s lawyers or its insurer’s staff to take advantage of your lack of legal skill and knowledge. Travellers’ diarrhoea is experienced by hundreds of holidaymakers travelling outside the UK yearly. Contrary to the belief of Thomson’s Tour Representatives, climatic change, sunshine, childhood ailments, over indulgence etc are not a cause of prolonged diarrhoea, extreme headaches, severe fever and violent abdominal cramps. Travellers’ diarrhoea is often caused by dysentery and exposure to bacterial food poisoning. Do You know the value of Your Thomson Claim? Our holiday lawyers are readily available to advise you as to the value of your personal injury claim – the initial advice we provide is free and we can also advise you whether you complaint has merits. 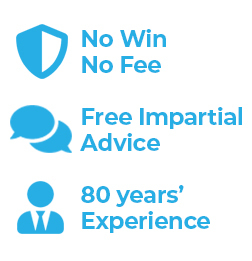 We have all the current data necessary to value your personal injury claims, and we can assist you in making a claim on a No Win No Fee Basis. For example, Families accepting £900 for their illness when we are regularly winning up to 5 times the compensation offered by Thomson and its insurers for similar complaints. If you a frustrated with the response from Thomson’s Aftersales or Welfare teams, you could remind them that they are responsible for the proper performance of you holiday under Regulation 15 of the Package Travel Regulations. Whilst they are not responsible for everything that may go wrong, you should not have been exposed to severe illness through unsanitary hotel hygiene. Customers of Thomson suffering from typical symptoms of food or water poisoning from a contaminated swimming pool, can call us for a free assessment of their potential claim. Our friendly holiday lawyers have the skill and expertise to handle your personal injury claim as we have represented both victims of food poisoning and tour operators, including Thomson Holidays.